The Mercedes-Benz C-Class is the company’s best-selling car around the globe and the 2017 model brings even more options to the table. This car is offered in sedan, coupe, and convertible body styles, but the latter two options underwent thorough redesigns for the new model year which puts them on par with the sedan variant that was updated two years ago. Besides offering three unique body styles from which to choose from, Mercedes also makes the C-Class available in high-performance AMG C 43, AMG C 63, and AMG C 63 S variations. 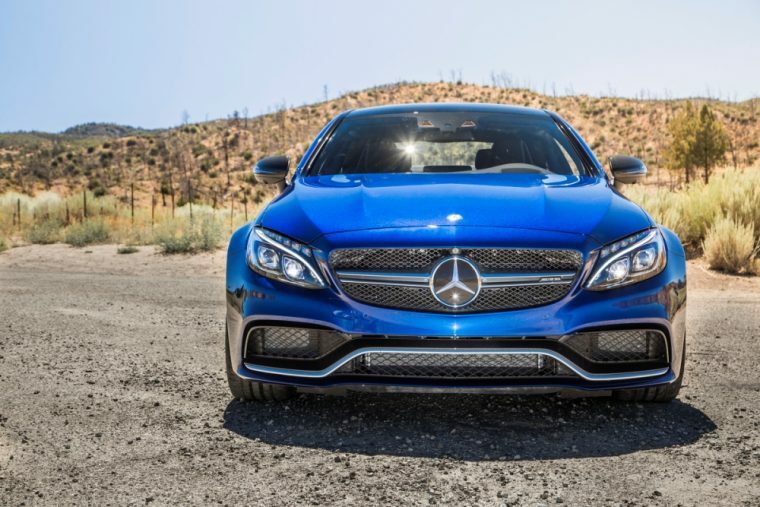 What’s new for the 2017 Mercedes-Benz C-Class? Convertible and coupe models are offered for the 2017 model year. These cars make use of the same chassis featured in the C-Class sedan and their cabins also come with similar designs. Bold and athletic are two words that can be used to describe the exterior of the 2017 Mercedes-Benz C-Class. 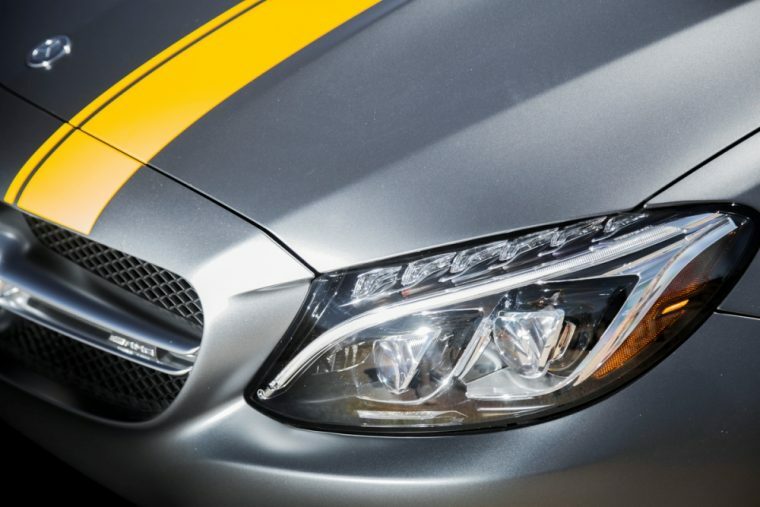 The front of the vehicle offers a striking grille design that contains the company’s iconic three-pointed star emblem. Also standard on the 2017 C-Class are LED headlamps, a panoramic sunroof, and 18-inch alloy wheels. The coupe model is especially sporty; as its pillarless design between the side windows gives it a bolder look overall. 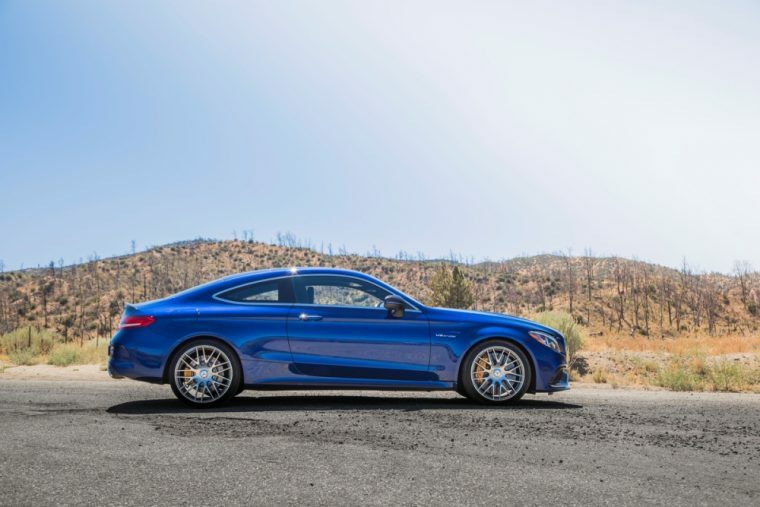 Furthermore, consumers who opt for the AMG models will be treated to performance tires and larger 19-inch wheels. Exterior color options include Obsidian Black Metallic, Diamond Silver Metallic, and Brilliant Blue Metallic. The 2017 Mercedes-Benz C-Class comes standard with a 2.0-liter turbocharged engine good for 241 horsepower and 273 lb-ft of torque. 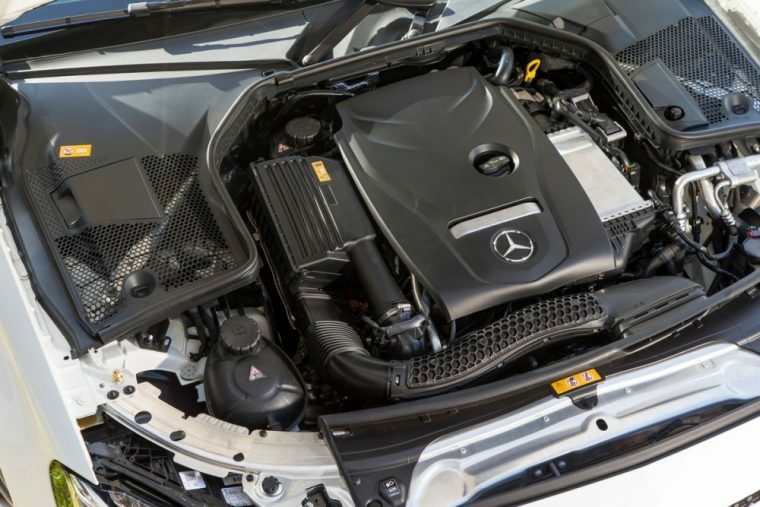 The C-Class also comes standard with a seven-speed automatic transmission and rear-wheel drive, but consumers can opt instead for the company’s 4MATIC all-wheel drive system. For increased performance, potential buyers might want to consider the AMG C 43 coupe and convertible variants. These cars feature a 3.0-liter biturbo V6 engine rated at 363 horsepower and 384 lb-ft of torque. 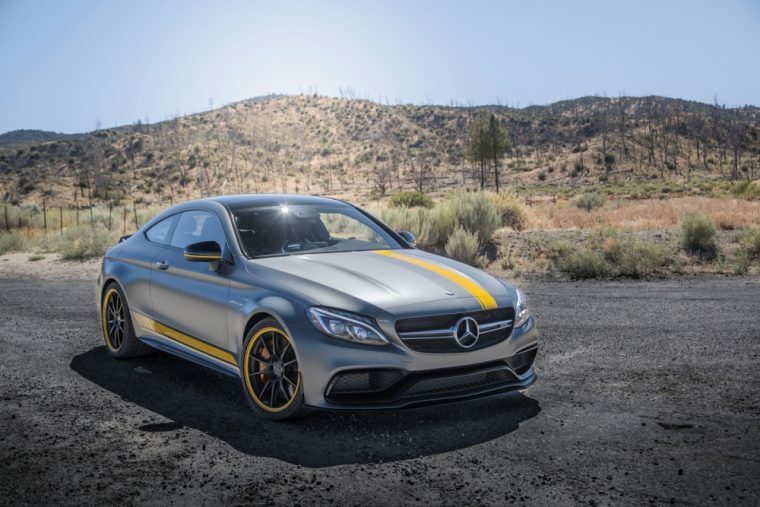 However, for those people who crave the most power possible, the top-level AMG C63 S features a 503-horsepower V8 engine, which allows the car to zip from 0 to 60 mph in just 3.8 seconds. Precise fuel economy ratings for the 2017 Mercedes-Benz C-Class differ depending on which body style, engine option, and drive system are selected. The entry-level C 300 sedan is the most efficient member of the 2017 C-Class lineup, yielding an EPA-estimated 24 mpg in the city and 34 mpg on the highway. Opting for the C 300 coupe drops efficiency down to 23 mpg in the city and 30 mpg on the highway. Furthermore, the AMG C63 S sedan and its twin-turbocharged V8 engine provide fuel efficiency of 18 mpg in the city and 24 mpg on the highway. The 2017 Mercedes-Benz C-Class comes with an elegant and refined cabin that’s packed full of advanced technology like the COMAND infotainment system and its 7-inch touchcreen display. Passengers can stream music via HD radio or by using a USB device or the CD player. In addition, consumers get to pick from aluminum and natural grain brown ash wood trim, while also having the choice of MB-Tex premium vinyl or authentic leather upholstery. Every 2017 C-Class comes standard with a leather steering wheel, automatic climate control, and tinted windows. Moreover, the sedan model provides 12.6 cubic feet of storage space in its trunk, while the coupe only features 10.5 cubic feet of cargo room. Whether it’s a sedan, coupe, or convertible, every 2017 Mercedes-Benz C-Class comes standard with an electronic stability program, antilock braking system, and high-strength body structure made from a combination of aluminum and steel. Mercedes also offers more advanced safety technology for the new C-Class, including a rearview camera, adaptive cruise control, a blind-spot monitor, active lane-keep assist, blind spot assist, and a surround view system. In addition, the C-Class sedan recently earned Top Safety Pick+ honors from the Insurance Institute for Highway Safety (IIHS).